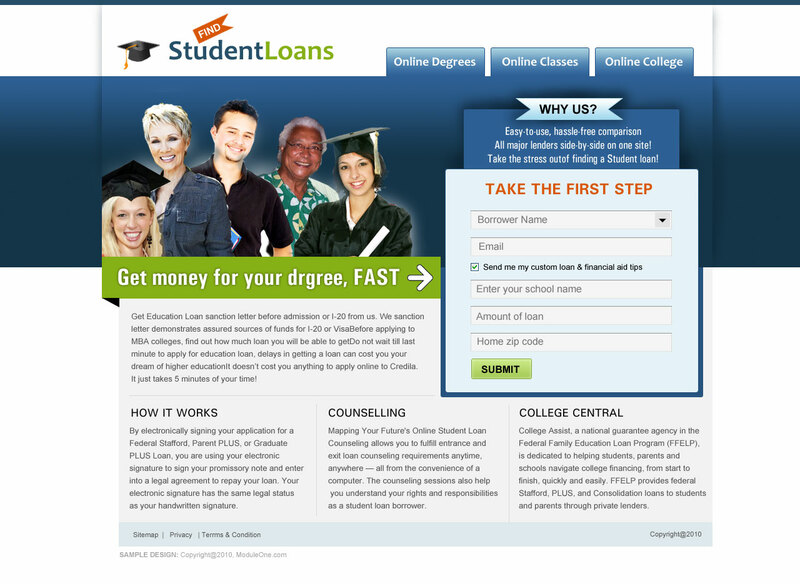 Findstudentsloan.com a US based one page loan provider for those who seeks degree online & want to have loan for admission. 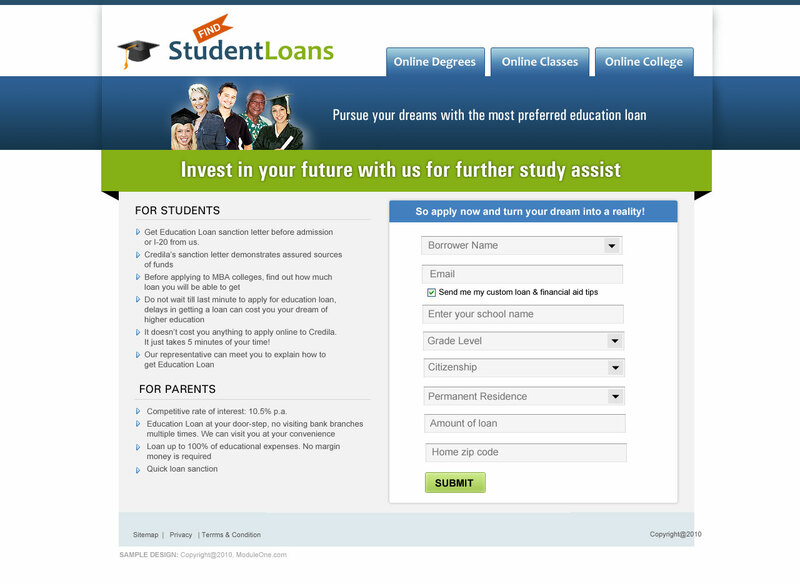 This is an one page marketing UI where the challenge was to create a form on the right panel for instant inquiry about loan. This was also a pitch in 99design.com.